Omega theme is a responsive WordPress theme framework, serving as a robust WordPress Parent Theme. Omega theme supports HTML5 and schema.org code, the semantic foundation for SEO best practices. 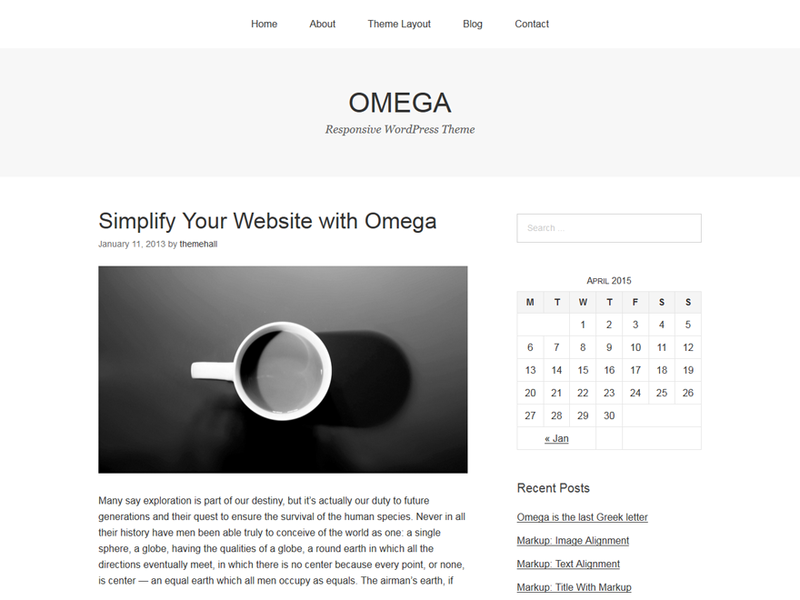 Omega theme is designed to be simple, yet powerful, flexible to create any site you want via omega child theme. The framework allows theme designers to build child themes quickly without having to code complex functionality for features. Omega framework does these things for theme developers / designers to enable them get back to what matters the most: save time designing and developing beautiful WordPress themes. WordPress Child Themes handle all the markup, style, and scripts while the framework handles the logic.